We specialise in any Graphical Design works, so whilst we are completing your eBay store design, or your business Logo why not complete the package with a Business Card Design. Using your fresh new logo design, we maintain the brand across all your selling platforms and produce a Business Card Design that you will feel proud to hand to your potential buyers. Once finished, our Design team can also arrange for these to be printed and delivered direct to your door on high quality card. 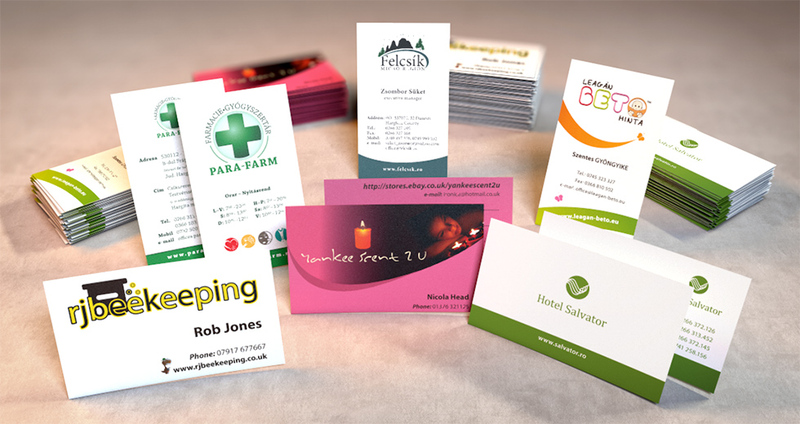 Interested in finding out more on our Business Card Design Services for your Business? Please Contact Us for a free consultation on how we can help.